What is the Female Edge? There’s a new bottom line in business today: women add value and increase profitability. Companies and organizations are actively recruiting women for senior leadership roles but are having a hard time finding them. That’s your female edge – all you need to do is step up, stand tall and make sure you’re ready to seize the opportunities that lie ahead. Confidence and desire play a huge part, but so do the inherent strengths that women bring to every workplace—empathy, conservatism, intuition, collaboration and the desire to help others. How can you put those to work for you? With rarely before shared insights into lessons learned along the way, Sybil Verch takes you along on her personal journey of success in a traditional “man’s role” — turning a glass ceiling obstacle into a successful senior management role with one of North America’s largest independent brokerage firms. 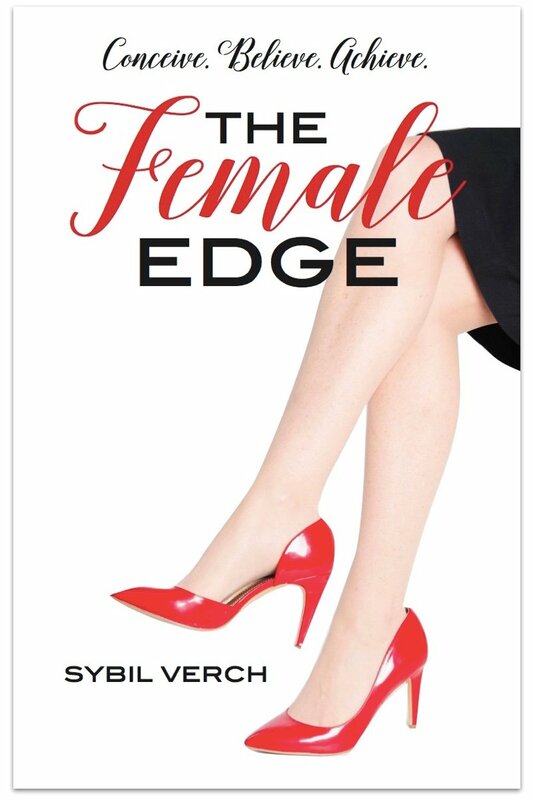 Whether your goal is a promotion to the next level, or to break through a barrier where few women have gone before, The Female Edge is a quick read that will get you to the heart of what you need to do: deciding what you want (conceive), having confidence in your ability (believe) and enjoying the success that comes your way (achieve). ATTENTION CORPORATIONS, UNIVERSITIES, COLLEGES AND PROFESSIONAL ORGANIZATIONS: Quantity discounts are available on bulk purchases of this book for educational, gift purposes, or as premiums for increasing memberships. Special book covers or book excerpts can be created to fit specific needs. Contact us for more information about bulk purchases.